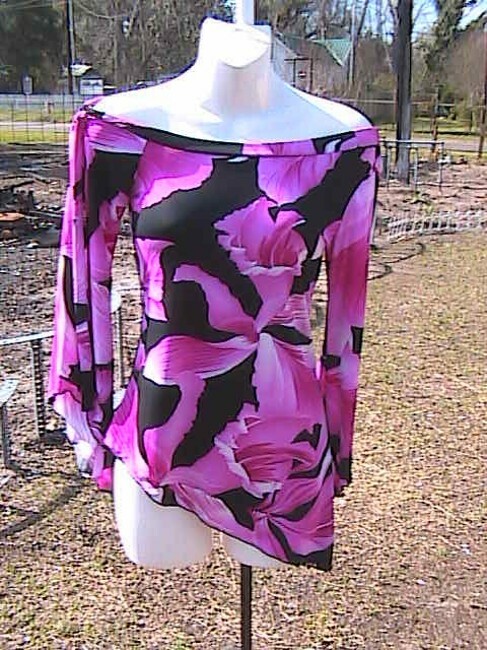 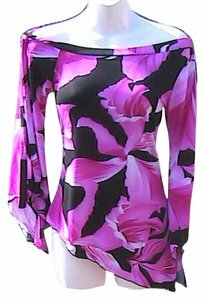 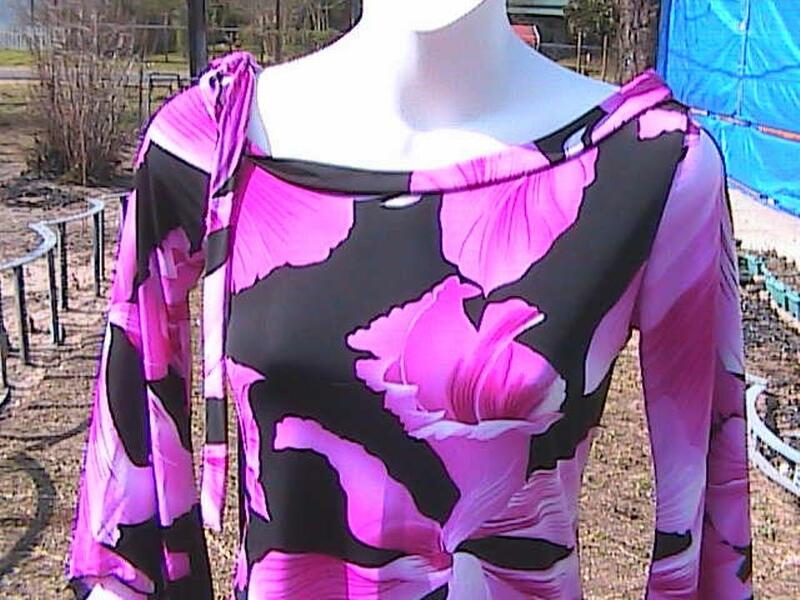 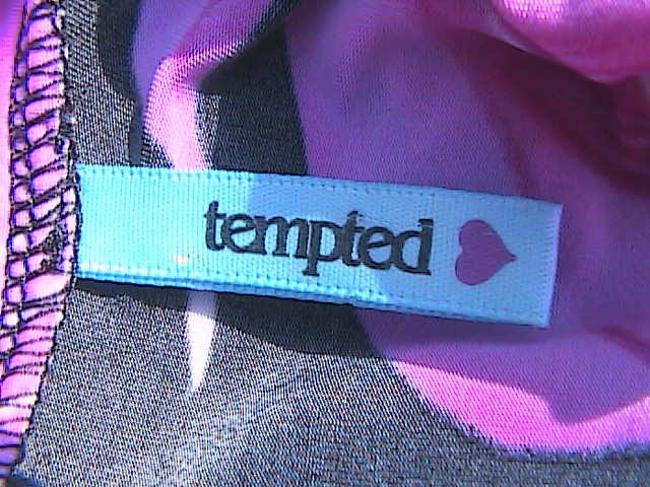 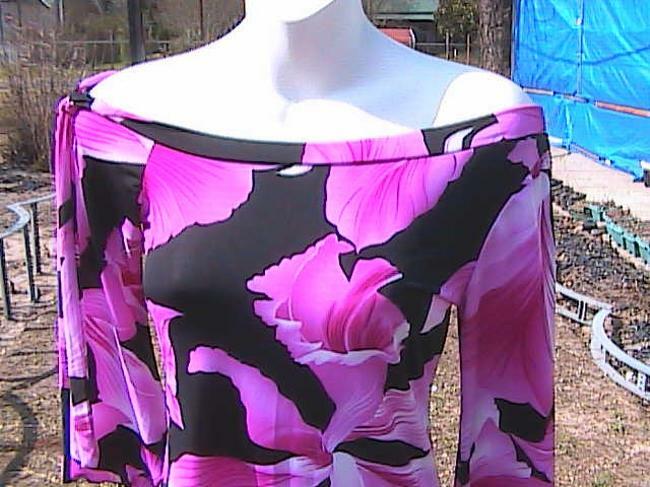 Beautiful Asymmetrical Blouse by Tempted, Pink Floral, size Medium. 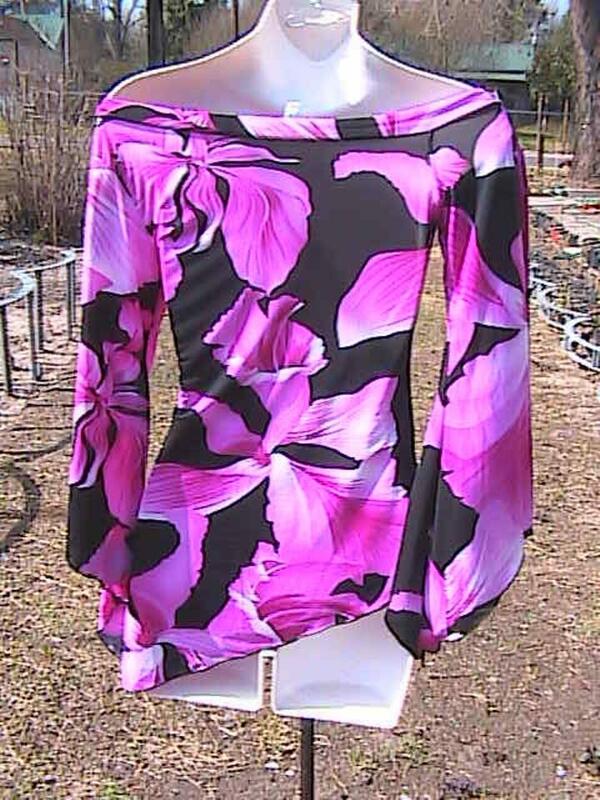 with shoulder sash. 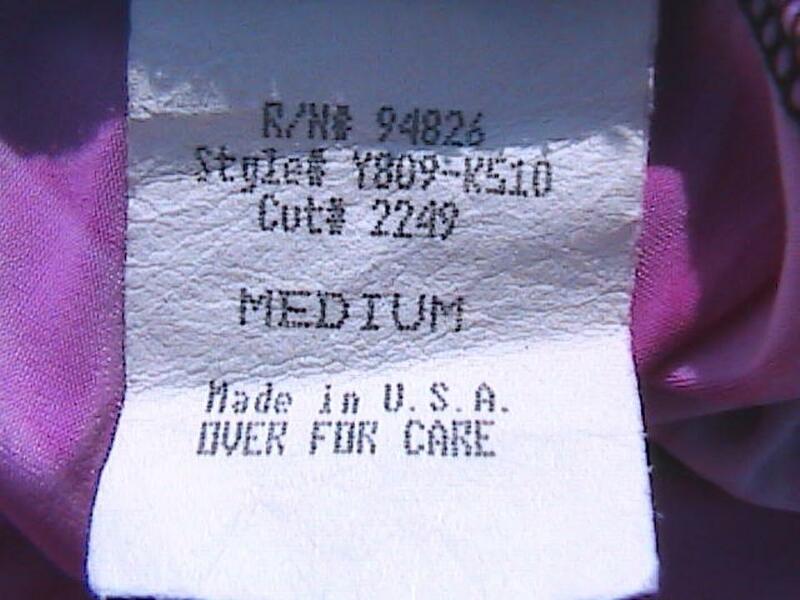 95% Polyester 5% Spandex.